MUNICH, Germany, 2017-Mar-16 — /Travel PR News/ — Munich Airport and Lufthansa can bask in the glory of a highly coveted accolade: At the 2017 World Airports Award, announced by the London-based Skytrax Institute, Munich Airport’s Terminal 2 was honored as the world’s number one terminal. The rankings are based on a survey of 14 million passengers around the world. Terminal 2, which opened in 2003, now includes the new satellite facility that went into operation last April. The completion of the expansion project has increased Terminal 2’s capacity from 11 million to 36 million passengers per year. The new building has 27 pierside stands, providing passengers with direct access to their aircraft with no need for a bus transfer. 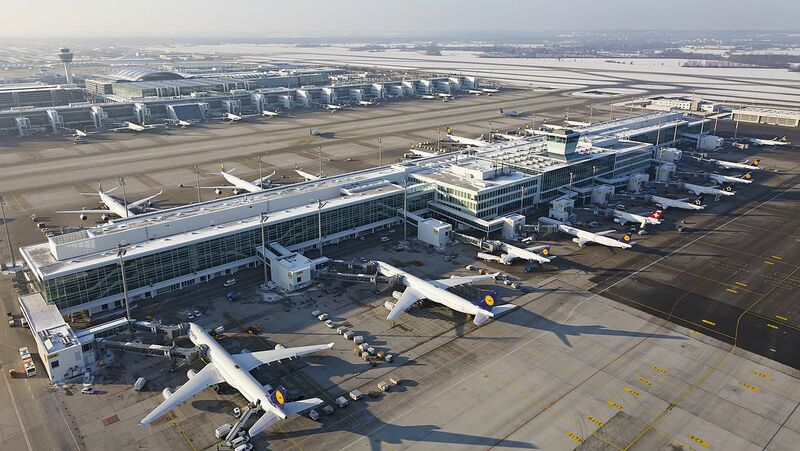 Terminal 2 is jointly operated by Munich Airport and Lufthansa as a 60:40 partnership. The outstanding results achieved by Terminal 2 in the World Airports Awards are rooted in a number of areas. Along with impressive scores in the passenger experience and overall comfort categories, the terminal achieved top ratings for the entertainment options and the quiet zones where guests can relax, read or work. T2 also won plaudits as a transit terminal: Right from the drawing board, the building was designed to keep connecting times to a minimum. The addition of the midfield satellite terminal has enhanced Terminal 2 in terms of quality as well as capacity: As one of the world’s most advanced airport buildings, the satellite offers passengers a wide range of shopping and dining options amid pleasant surroundings flooded with natural light. The total retail and dining space in Terminal 2 has nearly doubled with the addition of 7,000 square meters of new restaurants, cafés and stores. Also winning rave reviews is the decor in the satellite, with the many details inspired by local sights and culture, leaving passengers in no doubt that they are in Munich. The gates are designed as future-ready waiting areas tailored to travellers’ needs. Everywhere in Terminal 2, passengers can find quiet zones where they can sit back and relax in comfortable lounge chairs. And those who want to use the time productively will appreciate the free WLAN access, electric outlets and USB connections. The family waiting areas are set up so that the little ones can expend their excess energy before boarding. In addition, the satellite terminal offers shower facilities outside the Lufthansa lounges for the first time. They are located on the Non-Schengen level for those who wish to freshen up before departing on long-haul flights. Passengers looking for a special oasis of quiet can visit one of the 11 Lufthansa lounges in Terminal 2. They include five new ones now open in the satellite building affording spectacular views of the airport apron. For the utmost in comfort, the roof terrace of the first class lounge features exclusive amenities right at the heart of the airport. The lounges for passengers with mobility limitations and the unaccompanied minors lounge all have special facilities geared to their guests. Passengers not scheduled to depart from the satellite can also sneak a peak at the new building. All passengers with a boarding card are welcome to take the short trip to the satellite with the underground people mover. This entry was posted in Airlines, Airports, Travel, Travel Management, Travel Services and tagged Dr. Michael Kerkloh, lufthansa, Munich Airport, Skytrax Institute, world's number one terminal. Bookmark the permalink.